When you were a kid, you wanted to own a race car. Then you grew up and realized that your hip hurts when you get out of bed in the morning and you're not a millionaire. Fortunately for you, your good friend depreciation has made it possible to buy this Lotus Elise, an exotic race car for the streets, for the price of a mid-range Miata. Happy New Year! 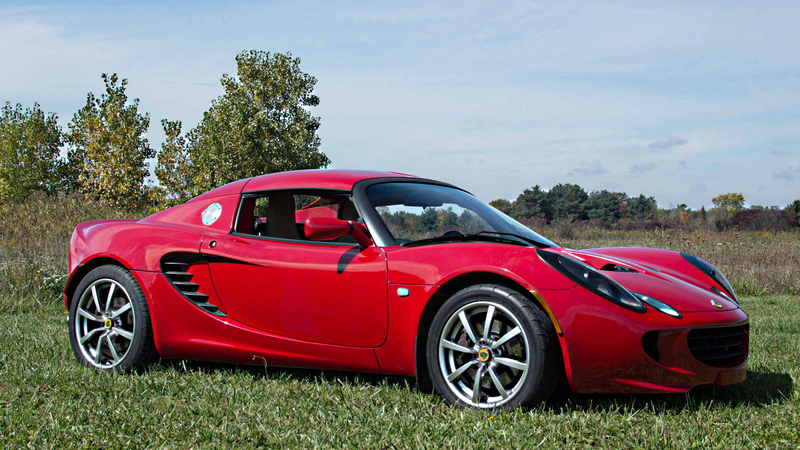 The 2005 Lotus Elise is the definition of power to weight ratio. Its Toyota ZZ naturally aspirated 4-cylinder engine produces just shy of 200 horsepower, with a body made of aluminum, plastic, bailing wire and dental floss. It's light. Really, really light. The barely-rental-car power level propels the little handler to 60 in less than 5 seconds, and with its wide stance, it can register more than 1 lateral G on the skid pad. It will rip your face off happily. The Elise comes with both the hard top and soft top. The soft top is missing the two center support bars. The owner before me had the oil line recall done. There is nothing mechanically wrong with this car. The car runs perfect. It does have some minor cosmetic imperfections e.g. front lip has a very small crack. Paint is in good condition but not perfect, steering wheel has some minor scuffs. Two of the front grill inserts have been removed but I do have them if you want to re-install them. Also the headliner was sagging so it has been removed. The vehicle was in a minor incident. An older gentleman reversed into me at about 3mph. He managed to make a very small crack in the fiberglass. All repairs were done at AutoEurope in Birmingham MI. They did fantastic work.. Thanks AutoEurope!! For those that want to live out the exotic lifestyle in a car that's simple, has a reliable japanese powerplant, and can and will out-handle anything this side of an F18 fighter jet, then this is the car for you. You can buy a Miata for this price, but why fake it when you can make it?